From “The Lives of the Heart”, copyright 1997 by Jane Hirshfield. Illustrated by Jinny Pearce. 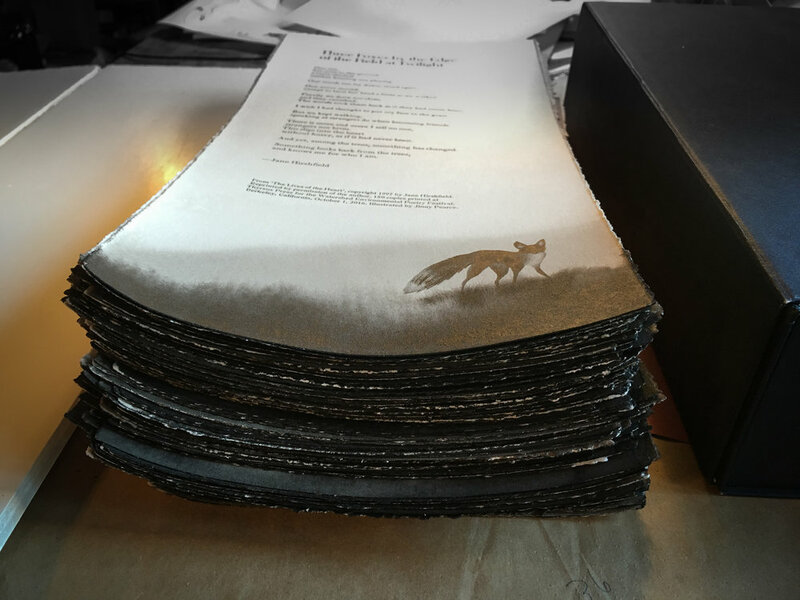 150 copies printed at Thyrsus Press for the Watershed Environmental Poetry Festival, Berkeley, California, October 1, 2016.